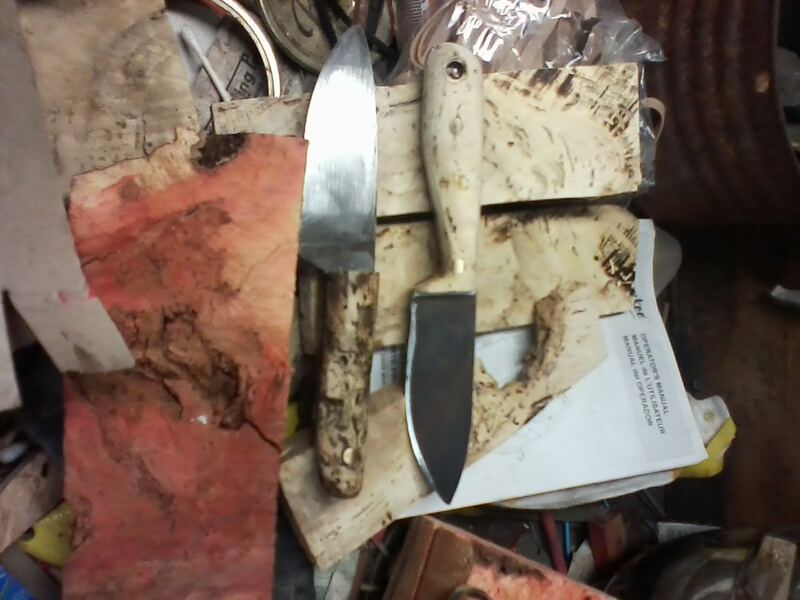 what i'll be featuring are a couple of knives in red box elder. 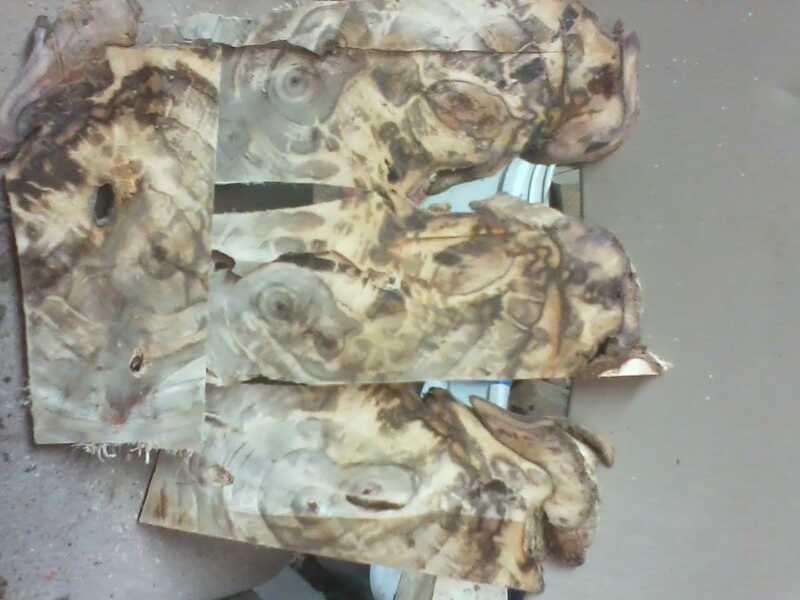 worm hole poplar burl, will try to finish up tomorrow i hope. shows signs of the little worm holes. which i think adds to it's character. anyhoo thrsday looks good should have a few done by then. so i hope you enjoy. i've harvested locally. red boxelder, poplar and wormhole poplar. 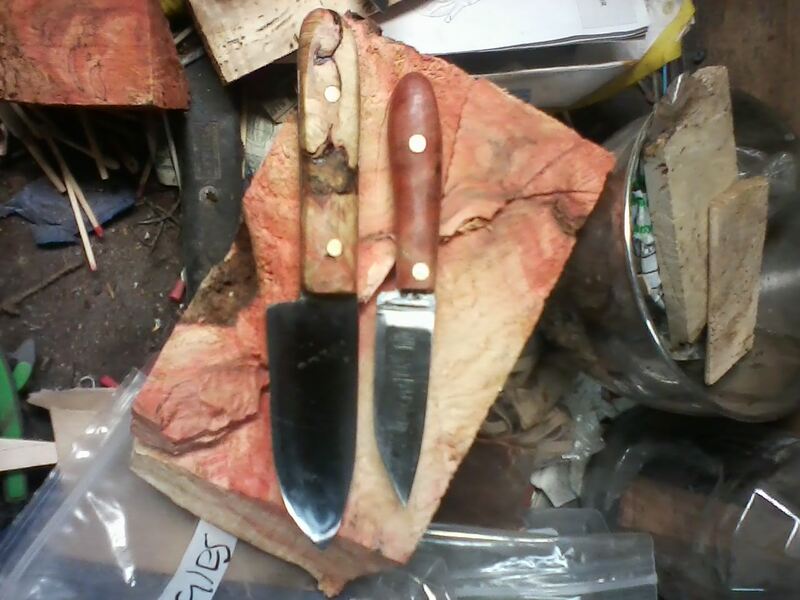 that is awesome sad thing is I may only get enough to do 3 knives.